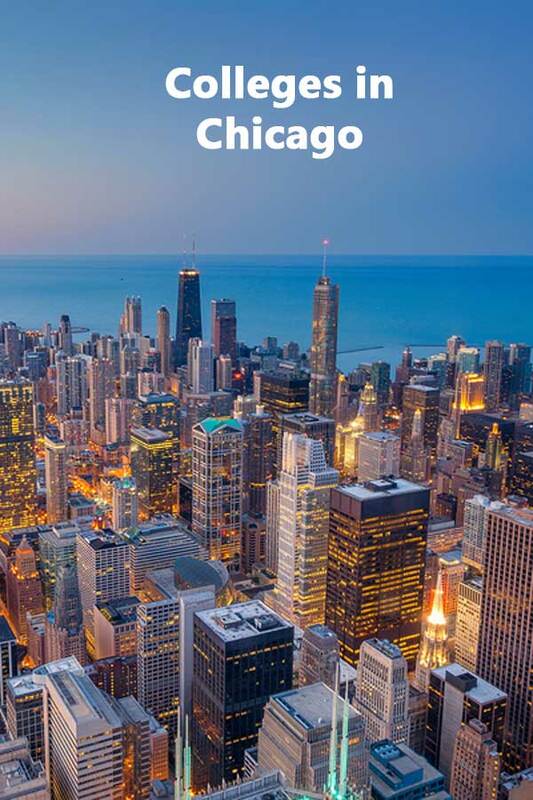 Students looking for the big city attractions shouldn’t overlook colleges in Chicago. It’s the 3rd largest city in the United States and has all the expected amenities to go with it. There are 40 colleges with at least 500 full-time undergraduates in the Chicago Core Based Statistical Area (CBSA). While twelve of them are 50-50 colleges, unfortunately only one is a public institution. The 50-50 colleges range in size from 757 undergraduates to over 17,000. Nine of the schools are classified as primarily residential. However, keep in mind just because a school is listed as primarily non-residential doesn’t mean dorms aren’t available. DePaul is one of those listed as nonresidential and it really doesn’t have a commuter school reputation. Among the 50-50 colleges in Chicago, four are some version of test optional. The 75th% ACT scores ranged from a low of 25 to a high of 28. You can also find Phi Beta Kappa chapters at four of the campuses and two sponsor National Merit Scholarships. While none of the schools hit $60,000 last year, a few are coming close. Only four are actually under $50,000 for total cost of attendance. However, at ten of the schools at least 90% of freshman received institutional aid which ranged from just over $15,000 to over $28,000. And according to the Common Data Set, at least three of the schools awarded merit money to 90% or more of freshman without need. The following table list 50-50 Colleges in the Chicago-Naperville-Elgin CBSA area. As usual, the 4-year graduation rate is used for private schools and the 5-year rate for public. The DIYCollegeRankings spreadsheet lists this information and much more for all Chicago area schools.